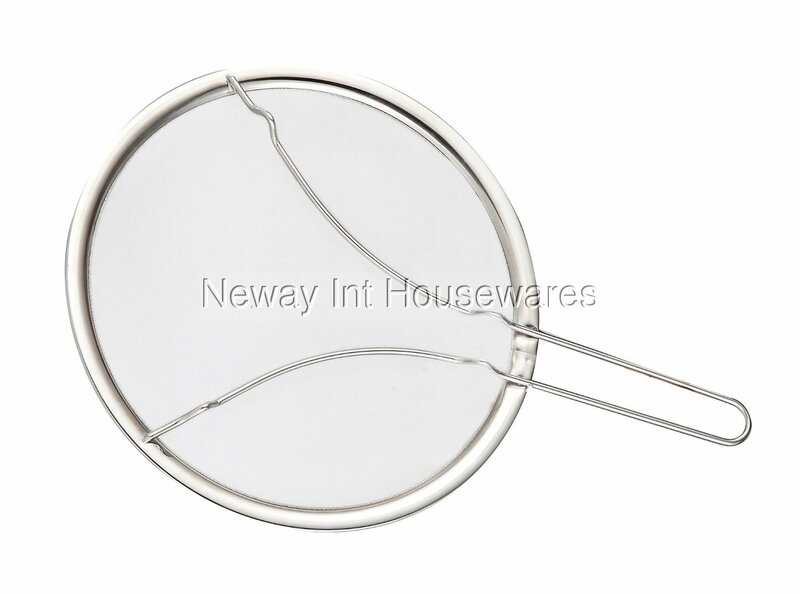 The Cook N Home 13-Inch Mesh Splatter Screen Guard with Rest Feet, Stainless Steel is made with stainless steel that is durable. Prevents splatters while cooking to keep the kitchen clean. Fits pots and pans up to 13 inches and can be used for straining, steaming, and cooling. Resting feet keeps the screen above the counter and keeps the screen in place on top of pans. Long wire handle for a comfortable grip and can be hanged. Dishwasher safe.